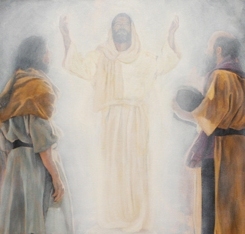 The Transfiguration is a key moment in Jesus’ public ministry in Galilee. Jesus has just predicted his suffering and death: doesn’t that mean failure, wonder the disciples? No. 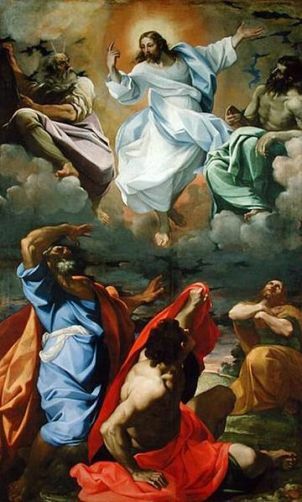 The Transfiguration shows them that Jesus is God’s agent of redemption. Just before this story starts, Peter says that he believes Jesus is the Messiah. It is a momentous statement. But then Jesus says something totally unexpected, something that leaves the disciples badly shaken. He predicts his impending suffering and death – not at all what the disciples are expecting. Until this moment they looked forward to a glorious future when Jesus announced his Messiah-ship. When that happened, they expected to take honoured places in the coming kingdom. Now Jesus demolished their hopes, and they were shaken and demoralized. But something even more dramatic was about to happen, something that would confirm Jesus’ identity as the Messiah. It is so central to the story of Jesus that all three Synoptic gospels include it. Jesus had taken three of his closest friends, the disciples Peter, John and James, up onto a lonely mountaintop. 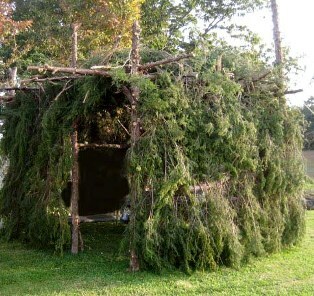 This isolated location, away from the ordinary setting of the Galilean and journey stories, gives it a special quality. The three men were Jesus’ inner circle, the ones he trusted most. 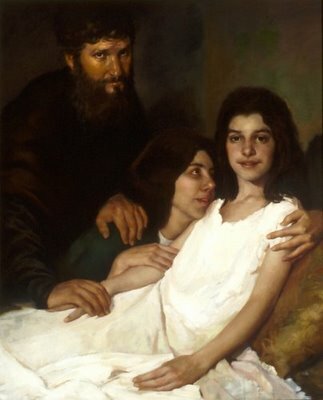 They had been present at the raising of Jairus’ daughter, and they would be present again with him in the garden of Gethsemane. Now they stood beside him at this seminal moment. When they reached the summit Jesus prayed – probably standing up. As he prayed, the first of three extraordinary things happened. His face became as radiant as the sun, as if he were a source of light, dazzling to look at. Something of his true nature as God shone through. His clothes became uncannily bright, whiter than any ordinary cloth could be. This visible alteration of Jesus demonstrated that he was more than merely human. It was the same Jesus, but now with a brightness ‘like the sun’ and ‘like light’. Elijah the great prophet of the Last Judgement. Together, these two Old Testament figures represented the Law and the Prophets. Neither of them had a known grave, and both of them had spoken with God on a high mountain. 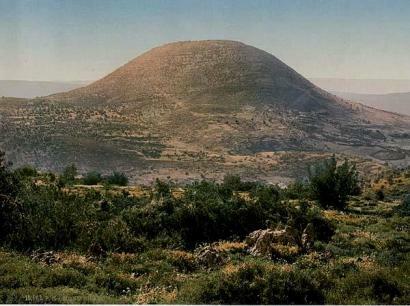 Now they spoke to Jesus on a high mountain, both of them appearing ‘in glory’. They were speaking to Jesus about his coming departure, in other words, about his coming death in Jerusalem. Their deference to Jesus showed clearly that he was the Messiah. In Exodus 34:29-35 we learnt that Moses’ face shone for a time with reflected glory after he had seen God; Jesus shone with his own glory. Then Moses and Elijah appeared to move away. The disciples were dumb-founded, but frightened as he was Peter was the first to recover. Impetuous and well-meaning as ever, he offered to build three shelters/bowers, similar to the ones used to celebrate the Feast of Tabernacles. There would be one for each of the glorious figures before him. It was a mistake. Impossible as it seemed to these 1st century Jews, Moses and Elijah were not on an equal par with Jesus. He far transcended them. Building three equal bowers was not appropriate. Then the third phenomenon. As Peter was speaking, a cloud descended on to the mountain top, covering and enclosing them in a thick mist. In the Old Testament the presence of God is described as a cloud, one with fire and light. This cloud seemed to be God’s response to Peter’s offer to build the booths: they were not needed, since God had wrapped them all in his glory and his presence. The only similar event in the gospels is at the baptism of Jesus, when the voice from heaven, speaking the same words as here, shows an other-worldly reality. Heaven has invaded earth. Then suddenly everything changed back to normal. The cloud was gone, the Voice was silent, and Jesus looked as he normally did. Matthew makes a point of saying that Jesus touched them: this was the real Jesus whom they knew, not an illusion. Together, he and the disciples wended their way down the mountain, back to the plain and to everyday life. Many Christians today favour an image of Jesus as a divine creature who was not fully human in the way that we are. Jesus has been so elevated that he is acknowledged to be God, but not truly man. 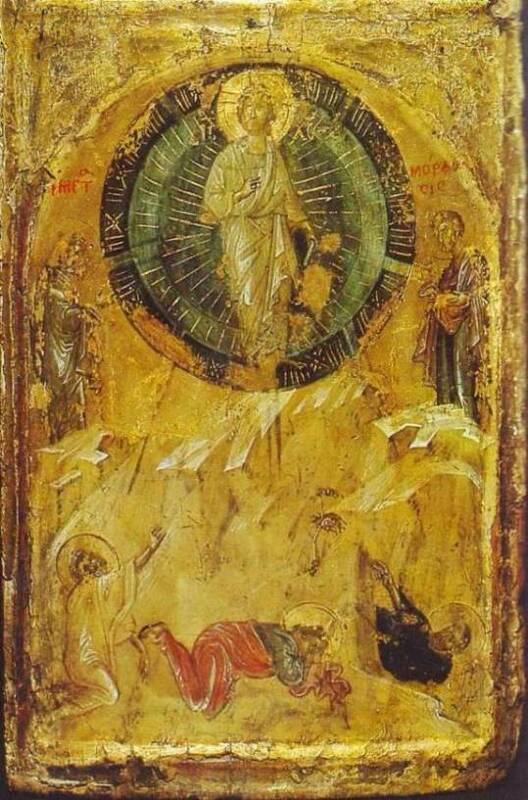 The Transfiguration shows that he was both: fully human, fully divine. On the one hand he appeared in glory; on the other, he touched the disciples, perhaps even shook them a little, to calm their terror – a very human act of reassurance. 1 And after six days Jesus took with him Peter and James and John his brother, and led them up a high mountain apart. 2 And he was transfigured before them, and his face shone like the sun, and his garments became white as light. 5 He was still speaking, when lo, a bright cloud overshadowed them, and a voice from the cloud said, “This is my beloved Son, with whom I am well pleased; listen to him.” 6 When the disciples heard this, they fell on their faces, and were filled with awe. 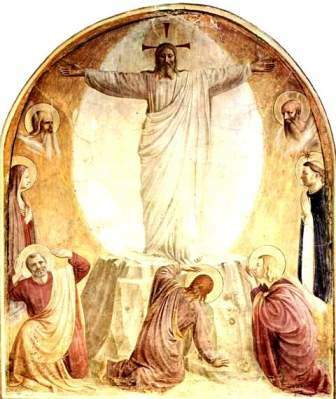 2 And after six days Jesus took with him Peter and James and John, and led them up a high mountain apart by themselves; and he was transfigured before them, 3 and his garments became glistening, intensely white, as no fuller on earth could bleach them. 4 And there appeared to them Elijah with Moses; and they were talking to Jesus. 5 And Peter said to Jesus, “Master, it is well that we are here; let us make three booths, one for you and one for Moses and one for Elijah.” 6 For he did not know what to say, for they were exceedingly afraid. Now about eight days after these sayings he took with him Peter and John and James, and went up on the mountain to pray. 29 And as he was praying, the appearance of his countenance was altered, and his raiment became dazzling white. 30 And behold, two men talked with him, Moses and Elijah, 31 who appeared in glory and spoke of his departure, which he was to accomplish at Jerusalem. 32 Now Peter and those who were with him were heavy with sleep, and when they wakened they saw his glory and the two men who stood with him. 33 And as the men were parting from him, Peter said to Jesus, “Master, it is well that we are here; let us make three booths, one for you and one for Moses and one for Elijah” –not knowing what he said. 36 And when the voice had spoken, Jesus was found alone. And they kept silence and told no one in those days anything of what they had seen.